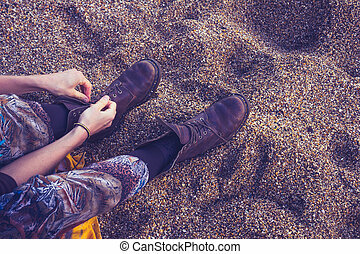 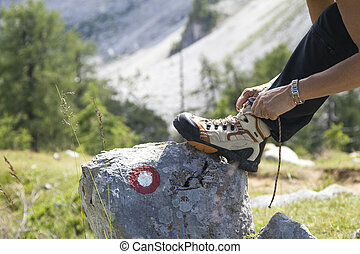 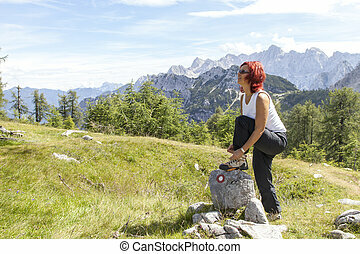 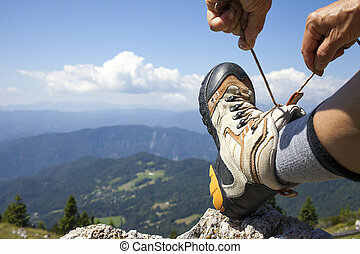 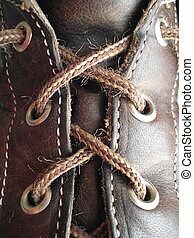 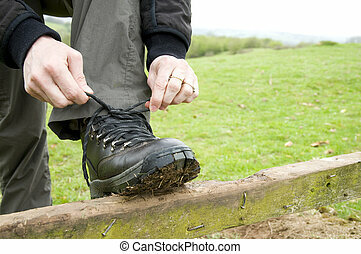 Hiking boot laces on a leather boot. 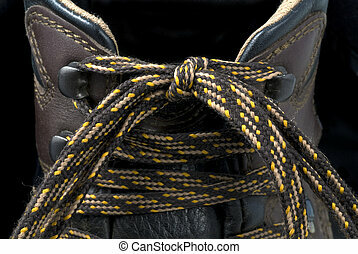 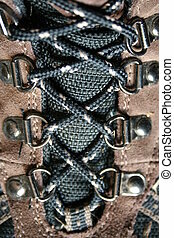 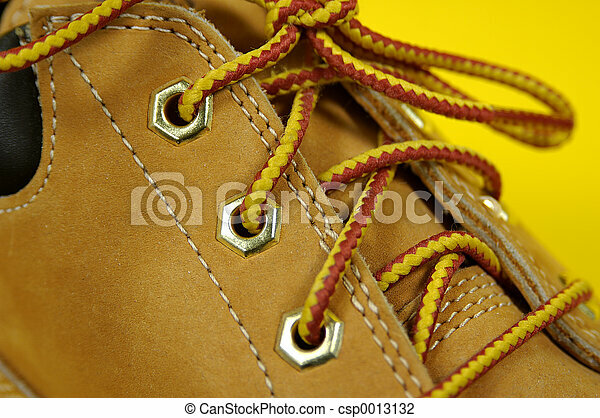 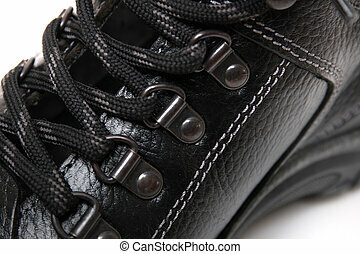 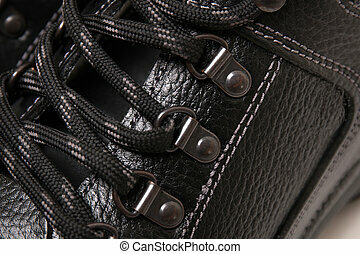 Close up view of modern black man boot laces isolated on a white background. 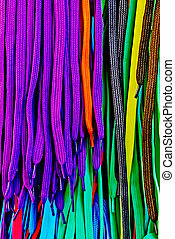 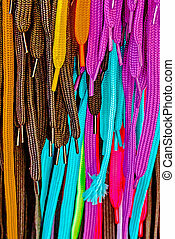 Laces for boots multicolor exposed for sale.